Top five things that made me smile this week. 3. 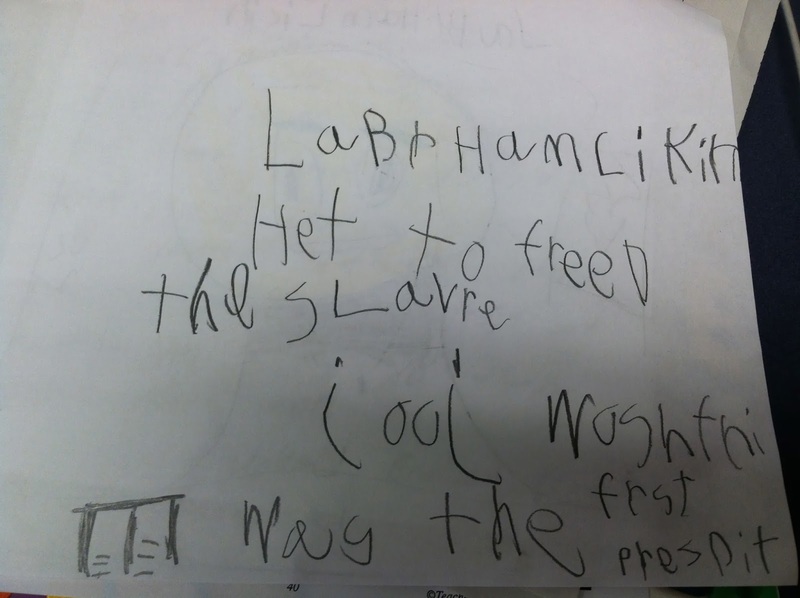 Ryan came into school on Wednesday and said, “Labraham Hinkin freed the slaves,” and handed me this picture. 2. 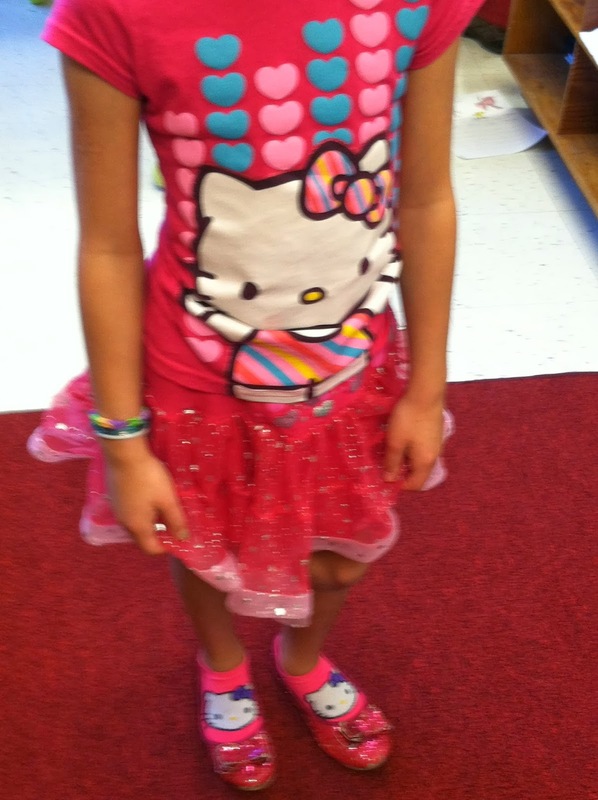 Julia walked into school Friday adorned in Hello Kitty. I smiled ALL ^&%$ day. That Julia is my kind of girl! She must just spread sunshine and smiles everywhere she goes. Hope you have a relaxing weekend! Big smile...what a rewarding job! Poor little spider...just kidding; I hate spiders. You don't know how many times over the last couple of years that I've wanted to respond to "How are you?" with "I'm disausted."! 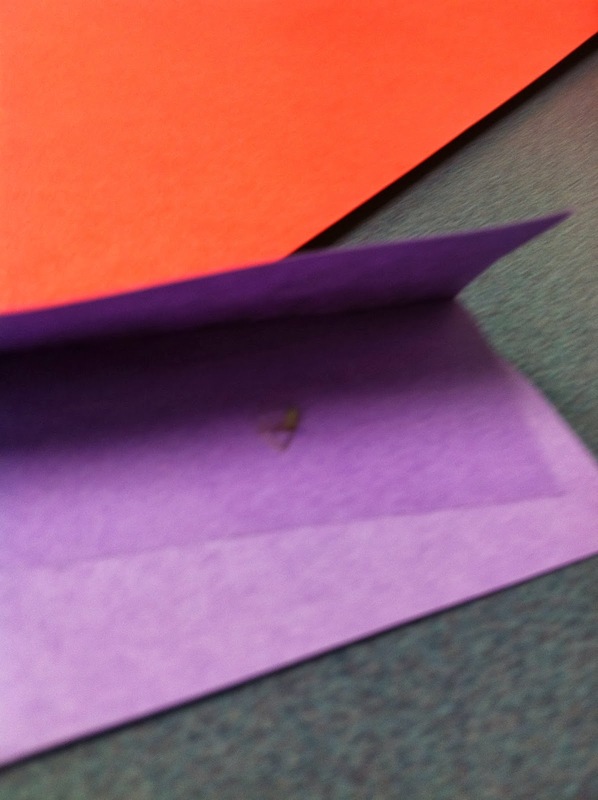 Those are the kind of things that make me miss teaching first grade. Thanks for the reminder! (My favorite first grade word was "gisgusting". OH that is a hysterical list! I work as a PARA in Elementary, and I can sooo understand your humor!